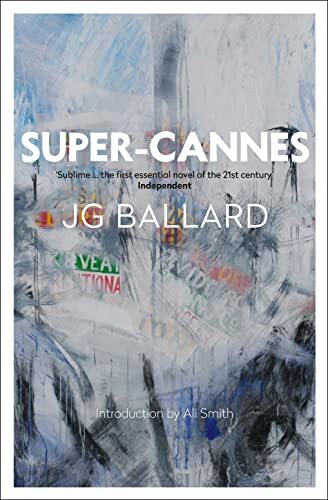 JG Ballard covers familiar territory in Super-Cannes: new social structures under pressure, new psychopathologies to be explored. As he did in his previous novel Cocaine Nights, he has avoided the more abstract imagery and plot of Rushing to Paradise or The Day of Creation to create, on the surface, a more mainstream novel, clearly concerned with modern issues of racism, random violence and sexuality. But familiar territory is always the most deeply subversive place in a Ballard novel. Eden-Olympia is more than a mere business park. It is an expensive and intense hive, the modern "Dream Palace" of "a new elite of administrators, enarques and scientific entrepreneurs"; its aim, "to turn Provence into Europe's silicon valley". Paul Sinclair finds himself with time on his hands in this radical environment when his young wife takes a job at Eden-Olympia. She replaces a doctor who killed 10 executives with a rifle before shooting himself. He left no note and no explanation. Sinclair finds himself living in the same house and learning some of the same lessons as the killer.